The imprint was purchased by Time Inc. in 1968, and was made part of the Time Warner Book Group when Time merged with Warner Communications to form Time Warner in 1989. In 2011, Little, Brown launched an imprint devoted to suspense publishing, Mulholland Books. 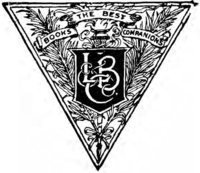 ↑ "Little, Brown.com - 175th Anniversary". www.littlebrown.com. Retrieved 2016-05-01. 1 2 3 4 "Little, Brown.com - 175th Anniversary". www.littlebrown.com. Retrieved 2016-05-01. ↑ Hudson, Robert Vernon (1987-01-01). Mass Media: A Chronological Encyclopedia of Television, Radio, Motion Pictures, Magazines, Newspapers, and Books in the United States. Garland Publishing, Incorporated. ISBN 9780824086954. ↑ One or more of the preceding sentences incorporates text from a publication now in the public domain: Wilson, James Grant; Fiske, John, eds. (1892). "Little, Charles Coffin". Appletons' Cyclopædia of American Biography. New York: D. Appleton. ↑ "Statutes at Large". Library of Congress. Retrieved 6 June 2012. ↑ Book Publishing in America, Madison, CA: McGraw-Hill, 1966.